Julia and Axel will tickle you silly in this sweet story of a little dragon who (just like you) wants to win a gold star. Zog is the keenest dragon in school. He’s also the clumsiest – always flying into trees and worse. Luckily, a little girl always comes by to patch up his bumps and bruises. Will she be able to help Zog with his toughest test yet: capturing a princess? And will Zog ever win a gold star? So funny, so exciting: another grand triumph from the king and queen of the picture book world. 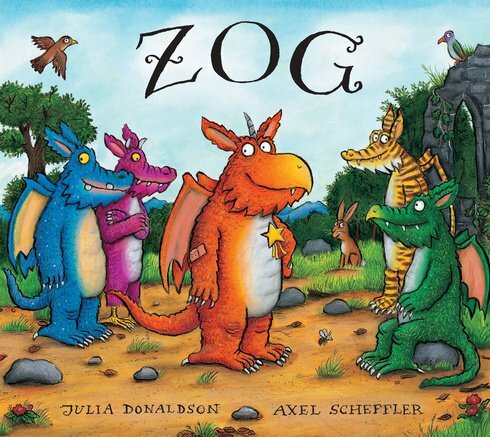 Six copies of this classic children’s book to accompany Read & Respond: Zog.